Simon Porter, one of the leading figures in Oxfordshire cricket for over 40 years, died at home on 9th February, aged 66. Simon was involved in the formation of Oxford Cricket Club, which arose from a merger of the Headington and Cowley St John clubs in 1994. He was a long standing player for Headington and had captained them to 3 Cherwell League titles in 1974, 1977, and 1981. He became Chairman of Oxford CC at its inception and in 2010 was elected President. Simon was instrumental in the formation of the Cherwell League in 1974 and was its Chairman for over 20 years. He then initiated the merger with the Trinity League, a move that has seen the number of teams rise from the initial 8 to the current total of around 100. He was appointed Treasurer of the Oxfordshire County Cricket Club (OCCC) in 1974, another position he was also to hold for 20 years. At this point he facilitated the merger of the OCCC with the Oxfordshire County Cricket Association (OCCA) to form the Oxfordshire Cricket Board (OCB), the organisation that oversees all cricket in the county today. He was Chairman of the OCB from 1996-2006 and then remained involved through chairing the Cricket committee until 2010. Throughout this period Simon was also managing cricket in The University Parks in his role as Oxford University Cricket Club Senior Treasurer and latterly Chairman. He would generally be in the pavilion on match days, ensuring all ran smoothly and entertaining officials and guests. He was also Secretary of the Oxford University Authentics from 1973-2013. Simon was also a notable cricketer. He won a blue at Oxford in 1973 and played 127 matches for the county side from 1971-88. His total of 355 wickets places him seventh on the list of all time wicket-takers for Oxfordshire and he was a useful batsman too, scoring 1840 runs for the county with a top score of 76 against Wiltshire at Devizes in 1981. His style as an off spinner was different to that of his contemporary Rupert Evans, bowling a flatter delivery with slightly more pace. His best performance for Oxfordshire was 7-38 against Buckinghamshire at Christ Church in 1977. He was part of Oxfordshire championship winning sides in 1974 and 1982 and was selected to tour Keyna with the Minor Counties in 1982. More recently he had the honour of being elected the Minor Counties President from 2009-11 and he was also a member of the MCC. Simon’s club cricket was for Headington United who he captained from 1973-85, leading them to the Cherwell League title in 1974, 1977, and 1981 and to success in the national indoor competition in 1977. He also captained the OCCA representative team and led them to the national title in 1979. His cricketing prowess has passed on to his daughters Genevieve and Eloise, both of whom have played for the Oxfordshire Women’s team. His wife Rosalyn also remains a great supporter of cricket within the county. Born in Oxford in 1950, the only child of George and Cecile Porter, Simon was exceptionally bright and having attended Littlemore Grammar School (now the Oxford Academy) he won a place to Oxford University aged only 16. This achievement was such that it was reported in the national press. He secured a first class honours degree in Engineering before going on to complete a doctorate by age 22. In 1977 he became Bursar at St Cross College and later moved to a similar position at Nuffield College. He retired from this job aged only 46 and subsequently devoted his time to his coin business alongside all his many cricketing roles. In recent years health issues took their toll and his last public appearance was at Oxfordshire’s match against Cheshire at Banbury last August. Although Simon had a very distinguished playing career, it is perhaps as a cricket administrator that we should best remember him. It can be argued that, with his involvement with the County, University, and League organisations over such a long period, he has been the most influential person Oxfordshire cricket has ever had. Many cricketers throughout the county should be thankful for his leadership and vision as they enjoy their cricket today. EDIT: Please note that the sessions at MCS on the 2nd April have been Cancelled. We are delighted to announce our winter training schedule for 2017. Sessions will be on Sundays. Please take careful notice of the venue and times. Please note: we will have to make a charge of £2 per session to cover the hall hire cost. As usual the first session is free for new players. Please note that the sessions on 2 April will no longer be taking place, as the hall is being packed up early. N.B. Please note the venue for 12-15 Boys training. As you are all aware, the club signed a long term lease agreement with Oxford University Press in April 2016 and relocated to OUP Sports Ground at Jordan Hill. Since moving to the new ground in North Oxford and changing our youth coaching sessions to Fridays evenings we have gained a number of new junior members from the new catchment area. To build on this successful ground move, our next objective was to appoint a Head Youth Coach to improve our youth coaching programme. I am now pleased to announce that The Oxford CC committee have appointed Arthur Muir as Head Youth Coach. In the words of Newcastle United football supporters, Arthur “is one of our own”; he’s a product of our youth section. Arthur has played for the club at all youth age groups and for all senior teams, prior to taking on the captaincy of the 3rd XI last season. Arthur is an ECB Level 2 Coach who has a degree in Coaching & Sports Development. He has been one of our club coaches for the past two years and has also gained experience coaching county development squads and through coaching in schools. 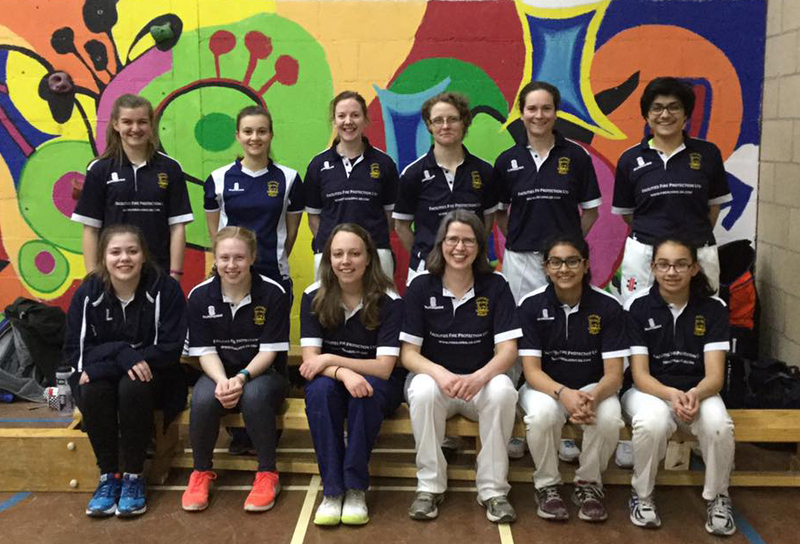 The Head Youth Coach role is crucial to the continued growth and development of Oxford CC Youth Section. Arthur will be the lead contact person for all youth cricket matters and he will be responsible for all youth cricket development activities, and coaching activities within the club. He will also ensure the club continues to operate to ECB Clubmark minimum quality standards. Following his appointment, Arthur Muir said, “Having been through the Oxford CC youth section from the age of 7, I am excited to have this opportunity to use my experiences to continue improving and building the youth section. This Friday night sessions at Jordan Hill during the summer was a huge success, I was thrilled to see the amount of fun that kids, coaches and parents were having on these evenings. A massive thank you to the many volunteers who worked hard during the summer and over the past few years to keep the youth section going, without these volunteers the youth section would not function. My first job will be to set up a youth committee, which will have regular meetings before and throughout the season. This committee will be responsible for shaping and implementing our youth development programme. With this in mind, if there is anyone who would like to be involved please get in touch with me at (oxfordcricketclub+youth@gmail.com). I will also be looking for volunteers to help with registration on a Fridays, running the BBQ and managing one of the teams. I am looking forward to continuing building on this season’s excellent start”. I am confident that Arthur will use his coaching experience and passion for the club to improve and expand the youth section and help the club achieve its youth development objectives. Hopefully you will join me in congratulating Arthur on his appointment; let us all support him to continue developing Oxford CC youth cricketers.